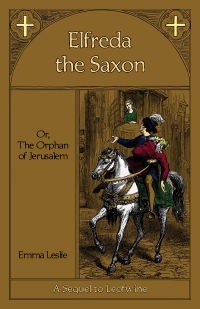 When Jerusalem is captured by the Muslims, Elfreda, a young orphan, is sent back to England to her mother’s sister. Her aunt is not at all pleased to see her, and her uncle fears she may have brought the family curse back to England. Elfreda’s cousin, Guy, who is joining King Richard’s Crusade, promises Elfreda that he will win such honor as a crusader that the curse will be removed. Over the years that follow, however, severe trials befall the family and Guy and Elfreda despair of the curse ever being lifted. Is it possible that there is One with power stronger than any curse? Story Setting: Medieval Europe and Middle East in 1189 - 1215 A.D.